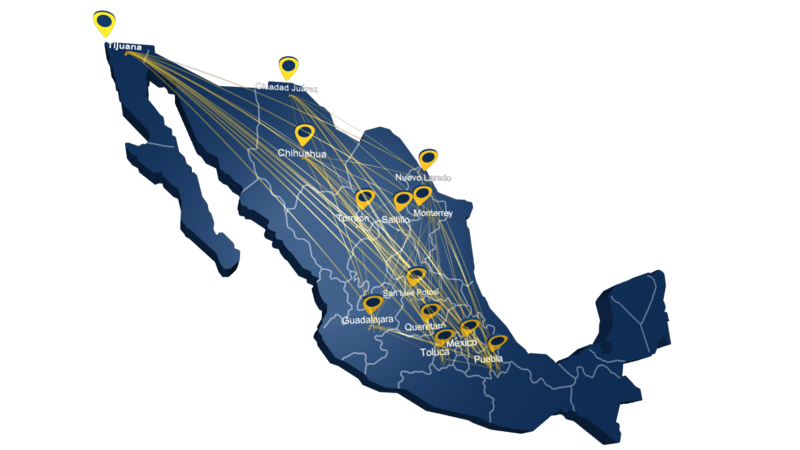 General Cargo Intra-México: Domestic service experience in most parts of Mexico. Consolidated Cargo: We have our LTL division, to provide a better service to our costumers. Import/Export: Fletes Mexico crosses two borders, El Paso (Texas) and Laredo (Texas). Door-to-door service (Between Mex. and USA). We are a certified company CTPAT, NEEC-OEA, FAST benefit, which speeds up the crossing of goods. Services in all Mexican territory. Door-to-door services with American exchange companies based on routes and costumer needs.